There is no such thing as humanely killing and using someone against their will. Animals have complex relationships, they have a will to live just like humans. It’s not our right to take their lives, they live for themselves, we shouldn’t have to justify their existence, but we have to in this world where their rights are taken away from them. When you think about veganism, remember it’s not about the food, it’s not about our personal health, it’s about these innocent animals. Everything else is a benefit. 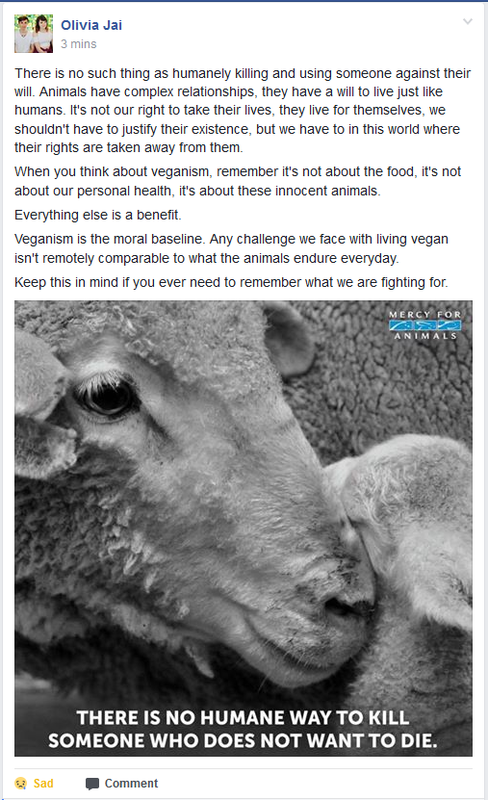 Veganism is the moral baseline. Any challenge we face with living vegan isn’t remotely comparable to what the animals endure everyday. Keep this in mind if you ever need to remember what we are fighting for.